There’s a bit of a war going on in Germany, and it’s been going on for quite some time. For years, the BMW 3 Series and the Audi A4 have challenged each other over bragging rights to be the top German sports sedan. 85 kilometers separate the two headquarters in Munich and Ingolstadt, yet for 2013, the battle is much closer. The completely redesigned BMW F30 3 Series released worldwide for 2012, but it wasn’t until the 2013 models arrived that BMW’s xDrive all-wheel drive system became available. The arrival also happens coincides with a mid-model refresh for the Audi B8 A4…what a surprise. So we did what any good motoring enthusiast would do, put them in a head-to-head comparison. Thanks to Capital Cities BMW and Langan Audi East for the opportunity. On one side, the BMW 328i xDrive is a bit barren. 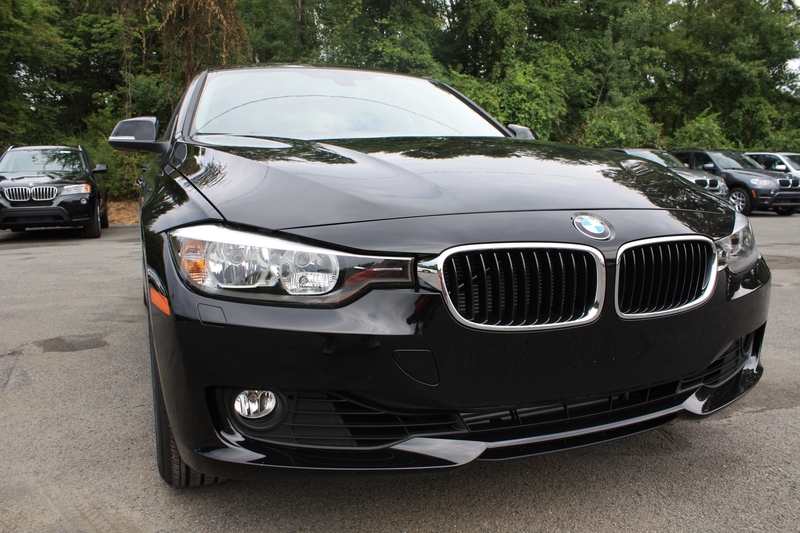 Without any of the new model “Lines” selected, the base 3 Series starts at $38,500. It includes some rather uninspiring 17″ wheels and no front or rear accent pieces in the lower grilles. Added luxuries of the Premium Package, Driver Assistance Package, and standalone Navigation and heated seat options drive the as-tested price to $46,095. 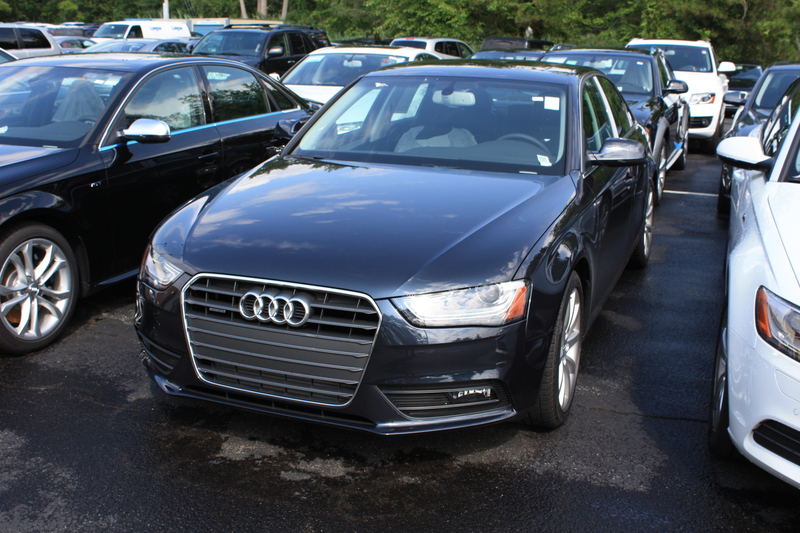 The Audi A4 2.0T Premium Plus quattro starts at $38,800. It includes many of the niceties that the base 3 Series lacks as standard. The Audi MMI Navigation system, Sport package, and Audi Advanced Key bring the as-tested price up to $45,860. If price is the determining factor, Audi ekes out an edge with more value per dollar. Audi’s trustworthy 2.0T inline four cylinder engine twists out 211 hp and 258 lb-ft of torque A tried and true powerplant, it provides abundant low end torque transitioning to strong turbo pull as the engine climbs towards its 6800 RPM redline. It’s so refined, it doesn’t feel like a turbo. BMW’s 2.0 liter inline four cylinder is a different animal, producing a slightly higher 240 hp and 255 lb-ft of torque. BMW’s use of a twin-scroll turbo as opposed to Audi’s single unit give the engine a completely different feel. The pull starts out light and comes on hard as the full boost kicks in. The engine redlines at 7000 RPM, but it feels like it could just keep going. It shows its true turbo nature more willingly, urging the transmission to drop a few gears just for fun. While the A4 figured out how to make a four-banger sound refined, the 328i gets the nod with the more rewarding engine. The 3 Series routes power through an 8-speed Steptronic transmission and xDrive AWD system. Similarly, Audi utilizes their 8-speed Tiptronic transmission and quattro AWD system to put the power down. Audi’s engine, with its extra low-end torque, is a better match for the numerous gears. The BMW gearbox nanny feel in the way all too often. Both the Audi and BMW units can be put into a sport or manual shifting mode. At the end of the day, the biggest difference is which direction to push the lever to up-shift (Audi=push forward, BMW=pull back). Its a problem that’s been around for a while, and it’s all too easily solved by checking the box for a 6 speed manual transmission. Good luck finding that option on the dealer lots though. Aiming both cars are electronically-assisted steering racks. This means finger-light steering around the parking lot and well weighted accuracy at speed. The biggest differences in the driving feel come from the tires. They both roll of 225/50 R17 wheels with all-season tires as standard, but BMW utilizes the infuriating run-flat technology where as Audi makes due with standard radials. This brings up the same complaint we had last time we drove a BMW 328i, the tires give up grip unpredictably, leading to highway on-ramp uncertainty and bouts of traction-control-light flashing on rough road surfaces. Points to Audi here. However, what the Bimmer loses in traction, it gains back under braking. Despite having nearly identical setups, the BMW has a far superior pedal feel. The Audi feels much heavier under braking even though it only carries 100 lbs more than the BMW. The visual appeal of each car is subject to great debate. For every man who disagrees with the looks of the new 3 Series there is another that dislikes the A4. The Limited Slip Blog team is aptly split down the middle. While it clearly factors heavily into the purchasing decision, it remains a matter of personal preference. Beyond visual appeal, the 3 Series appears to have grown much larger than previous generations. The larger appearance contradicts the fact that it is still smaller on paper than the Audi, if only by 3 inches. Both cars feel identically sized from the driver seat. Comparing the two test cars from there, the Audi’s sport seats and steering wheel are better than the base BMW. However, the Sport Line 3 Series is right on par with Audi. The center consoles of both cars are wide, accommodating a slew of buttons and knobs for climate and infotainment controls. Leg room doesn’t suffer as a result. BMW has finally given in and placed 2 cup holders side-by-side in front of the shifter. It might be a welcome Americanization for some, but a typical American beverage will be large enough to block access to the climate controls. Both BMW’s iDrive and Audi’s MMI systems are a bit confusing for beginners. BMW’s updated iDrive is easier to understand at first glance when compared to the many buttons and knobs in the Audi. That shouldn’t be an issue after a few days of use, however. Everything is visible and easily reached while driving. So its a dead heat up front. That tune changes once you get in the backs seat. The 3 Series visual and physical growth came between the axles. This translates into a slightly more comfortable rear seat for anyone with adult legs. Further, the new redesign adds a larger trunk and trunk opening. All told, the BMW has an extra 5 cubic feet of trunk storage over the Audi. Leg room and cargo space are valuable commodities in the sport sedan market. Rear visibility is equal with both cars. This means you can see if the center headrest is removed, and you can’t if it isn’t. You don’t need a 5th passenger that badly, right? Choosing between these two cars is like picking a dessert. The choice is always difficult and everyone has an opinion, but at the end of the day, you’re going to get something good. If it came down to a direct competition between these two cars, I’d have to pick the Audi A4. It simply had the better optioned setup. Does the Audi offer more car for the money? Certainly. Is the BMW more fun to drive? Absolutely. Where does that leave you? Somewhere on the German Autobahn between Munich and Ingolstadt, with a big smile on your face. Good review! I agree the F30 needs some money spending on it to make it class leading – our 328i comes to £40,130 after going to town on the options list. The Audi is better equipped as standard but still needs a hell of a lot spending again to make it like it should be. Interesting point about the RFT’s unpredictability and a 328i Luxury on 225’s we tested broke traction all too often in damp-wet conditions without even pushing it that hard on motorway entrances. DSC does a marvellous job of sorting it all out though! So we put 255’s out back on our 328i and it does feel much more planted in power on cornering. The 328i test car also had the Standard Automatic transmission and I hated it! Dopey, slow changes, wrong gear and constant power interruptions when accelerating linearly. It ruined the whole driving experience and really infuriated me. Then we tested a 320d Sport Auto and wow! Telepathically good. Stupendously smooth, super fast changes when you were… in the “spirit”, and the whole car just felt perfect. This was a pre-production car with camo on too! Nice having less Line restriction here in the UK so our 328i Luxury has the Sport Auto and 18″ 398 mixed tyres. I think the A4 LCI is a fine looking thing, though I don’t want FWD and I don’t want the punishments of having an AWD system. Plus the Audi dealership were just awful (they were the same 3 years ago when debating 330d or A4 2.0 TFSI) so that put me off. The BMW dealership are great (never thought you’d hear that right?) and the team are all genuinely nice people! Nice to walk in and be greeted with my first name and an offer of a brew by multiple staff! Great Review – We still love Audi!